"[I]n addition to any requirements imposed under common law, for a post-employment restrictive covenant entered into on or after May 10, 2016, an employer and an employee may not enter into a post-employment restrictive covenant for a period of more than one year from the day on which the employee is no longer employed by the employer." Reasonable minds can disagree on that count, but fair enough. But last week, the latest iteration of this bill took a strange turn; it now outlaws non-compete agreements entirely - but only in one limited field and industry: the news media. "(2) An employer and an employee may not enter into a post-employment restrictive covenant if the employer's primary business is news media. (3) A post-employment restrictive covenant that violates this section is void." Admittedly, I am puzzled; presumably, the proponents of this legislation mean well, and are trying to make sure that even medium-wage workers (as opposed to low, or minimum-wage workers) can advance their careers unencumbered by a non-compete agreement. Why are they limiting this outright ban on non-compete agreements to one, narrow industry? By singling out one industry, doesn't that raise huge red flags that inherently welcome a challenge in court? If they had to pick one industry (which, again, is a highly questionable move), why on earth would you pick out media? Wouldn't technology make an awful lot more sense? "What on earth were they thinking?" 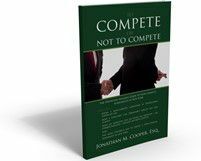 Post a Comment to "Why This Proposed Non-Compete Legislation is So Misguided"